Editor’s note: This year’s SIHH from JLC was very much a return to their core – high complications and Reversos. Don’t forget, though, that last year saw the brand break out with a bold, sporty collection – the Polaris. 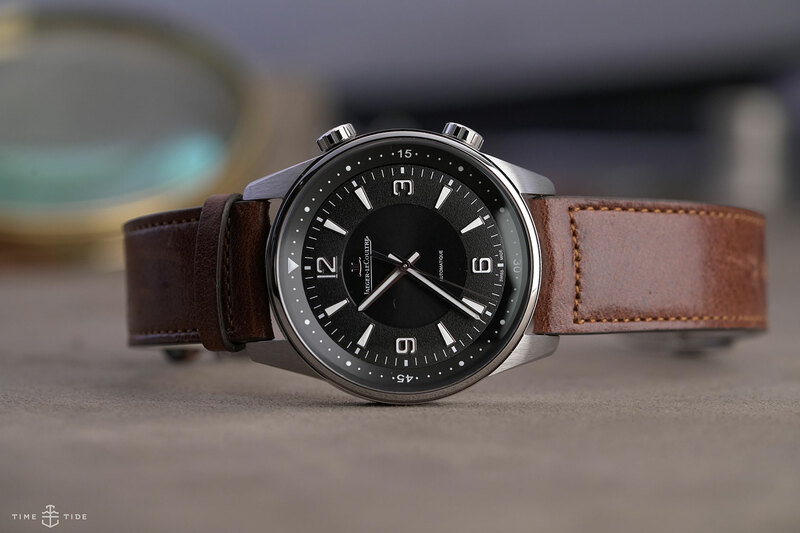 We take another look at the Jaeger-LeCoultre Polaris Automatic. The Polaris is one of those truly iconic watches conceived in a golden age, not just of watchmaking but also of global exploration. This year the Polaris got the nod for the remake and revamp treatment, being offered in five new models, starting with the deceptively simple Polaris Automatic. The uncomplicated, no fuss Polaris Automatic is the entry-level ticket to JLC’s brand new sports watch collection. The dual crowns hark back to the original, but this is no Memovox. Instead, one crown governs time-setting and the other looks after the internal bezel. At first glance, the dial is uncomplicated, devoid even of a date. But look closer and you notice the mixture of sunray, grained, and opaline treatments, with applied numerals and trapezoidal hour markers filled with luminous material that matches the hands. 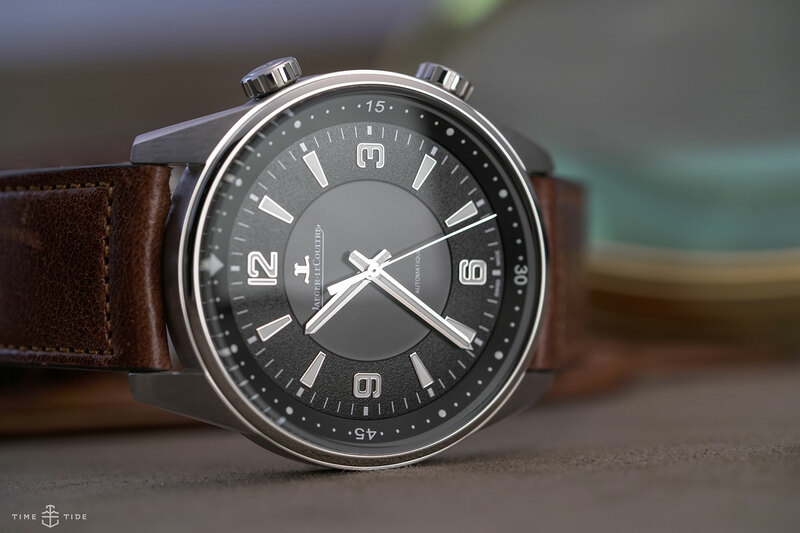 It’s exactly the sort of accomplished offering you’d expect from JLC, and it elevates the Polaris Automatic above the typical sports-casual fare. The dial is offered in black and (our pick) ocean blue. 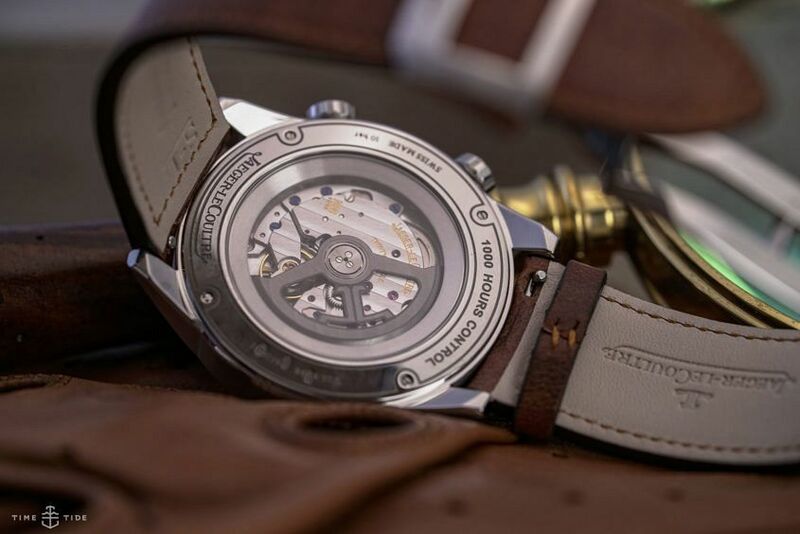 Inside the 41mm steel case beats the JLC Caliber 898/1 automatic movement with a power reserve of 40 hours, tested for 1000 hours and looking good through the clear caseback. Strap-wise, there’s a range of interchangeable calf and alligator options as well as a brand new three-link bracelet. Jaeger-LeCoultre Polaris Automatic, steel, $9600 (indicative).